Apple Redesigned new gesture on the lock screen or home screen to access control center, App switcher, close open running the app from app switcher and more. 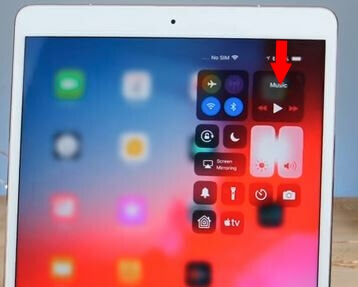 Let’s have a look how to Use and Turn on Control center on iPad. 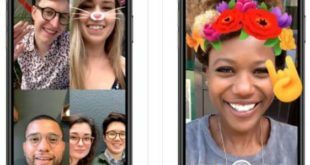 Apple thinks out for tradition iPhone Users and especially from iPhone X users. They have a great experience on Access control center from the top right notch of the screen. Here is the same for iPad user. Try to install iOS 12 Beta on iPad and let’s check & Get the live experience of Use Gesture on the lock screen or Close running app and more. Open iPad and unlock the iPad screen with the passcode or Touch ID. (Press to unlock iPad is same like iOS 11). “Swipe down from the top right corner” of the iPad screen. Here you can see Control center only; you can’t see App switcher apps that are running in the background. Close the Control center, Tap finger on the black area of iPad screen. Control Center isn’t open in iOS 12 on iPad using gesture, Force Restart your iPad (Press and Hold Power button + Home button) and try again. 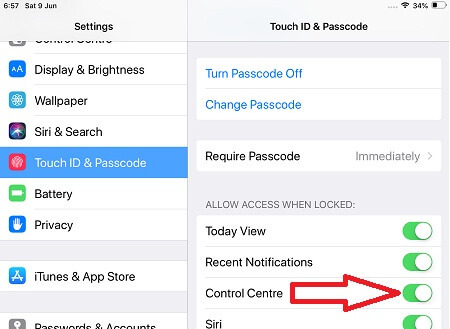 Also Check Restriction is turned on for Control center, Go to the “Settings” > “Touch ID & Passcode” > “Allow Access When Locked” > “Enable Control Center”. Best of luck and enjoy new Gesture update on iPad for do work fast and frequently, just like new iPhone X. And the same way you can close the app after turn on app switcher screen. Swipe up from the bottom edge of iPad and left your finger at the center of iPad. Like! 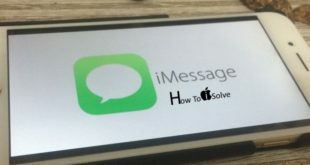 And Share for More updates and tips about New iOS 12 on iPhone and iPad. Just installed iOS 12 on my iPad Pro and now I can’t access my Control Center from the Home page. Tried everything. Help! Drage finger from the top right corner of the screen on your iPad. Because Gesture has been changed, that I found on my iPad after update. I spent ages trying to work this one out – such a simple solution too!